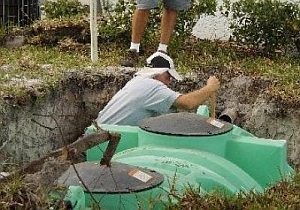 We Service and Repair all Septic Systems! Please call today, or fill out our Form, and one of our Licensed Service Professionals will reach out to you within 24 hours! Every time you use your sink, disposal, bathroom toilet, shower, sink or washing machine you add a small amount of water and waste to the septic tank. Sludge and other sediments slowly accumulate in your septic tank. Over the course of years these layers of sediment and sludge accumulate on the bottom and the sides of your tank and eventually the tank becomes full and a pump out is necessary. If you ignore this your septic tank will eventually back up, most likely into your home, and you will have a huge mess on your hands! Not to mention the health hazards you will face. So if you’ve been in your home more than three or four years we were highly recommend you have your tank pumped and inspected. Over the years almost every household will experience a clogged drain or drain lines. Drains become clogged usually after years of collecting debris from dirty dishes, food, disposal overuse, soap and grease. Starchy Foods are the #1 culprit! Hydro-Jetting is environmentally friendly it does not require any harsh chemicals to unclog the drain! So when your drain or drain lines become clogged it’s time to call an A1 septic and sewer professional! 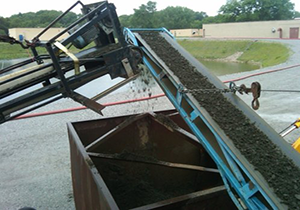 Live stations are generally used to reduce capital cost of waste removal when connected to a local government controlled or private main sewer system. Our skilled technicians use state-of-the-art Advanced technology and equipment for all sewer and septic repairs. If you were experiencing flooding in a low lying area, or basement of your home, a sump pump or ejector system may be necessary to help prevent rain and surface water from collecting and seeping into your home. 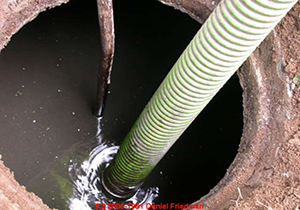 Sump Pumps or Ejector Pumps may be used to prevent clogged raw sewage and waste from overflowing into your septic tank. may be used also to prevent clogged raw sewage and waste from overflowing into your septic tank. A Backflow System is an essential part of modern waste management system that prevents public drinking water from becoming contaminated with sewage or waste water. Our highly experienced technicians are backflow protection experts and have been trained and certified in all areas necessary to install your backflow protection device properly. We are well-equipped to handle all of your backflow prevention needs or repairs. If you’re experiencing powerful odors arising from your grease trap it is time to take action immediately. This is the telltale event that happens when the trap is overloaded and overwhelmed. It is highly possible that the trap may fail at any time. You should also note that the longer it sits the more difficult and costlier it will be to clean. Regular Maintenance will ensue a clean and odor free Trap! Buying a new home? A1 Septic provides Certified Septic System Inspections to give you complete piece of mind when purchasing your new home. Don’t let a bad system spoil your first weeks in your new home! An A1 Septic licensed Professional will visit you on site, and determine the best location for your new underground septic system. He will also discuss site location possibilities and what systems are right for you. Once the location is determined, and the type of system that best fits your needs and budget, we will provide schematics and plans for the system of your choice. He will work with you and your contractor to schedule the installation and ensure there is no interruption with the construction schedule. Know what you Permits you need?? Let A1 Septic help you acquire all the proper permits and state approved products and piping are used in the building of your new or repair of your septic system. Permits vary from city to city as well as county, you can’t afford to make mistakes when scheduling installation and permits can be difficult to obtain.! MOUND SYSTEMS – OUR SPECIALTY! The Mound System is made up of lengths of piping in layers, at different depths, and are what we specialize in here at A1 Septic. Please call today, or fill out our Form and one of our Licensed Service Professionals will reach out to you within 24 hours! ATL by Infiltrator is passive advanced treatment leach field system designed as an environmentally friendly alternative to traditional stone and pipe drain fields. The ATL system is a sand-lined treatment and dispersal leach field system consisting of 6 components. 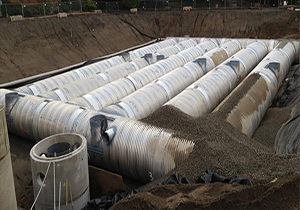 Upon entering the system, septic tank effluent progresses through a 4-inch-diameter pipe, followed by a Large-diameter synthetic aggregate, Fine geotextile, a Small-diameter synthetic aggregate, a Coarse geotextile, and finally 6-inch-thick system sand. Upon exiting the ATL conduit, the treated effluent enters the underlying native soil. For more information on the benefits of the Infiltrator System. Please call today, or fill out our Form and one of our Licensed Service Professionals will reach out to you within 24 hours! 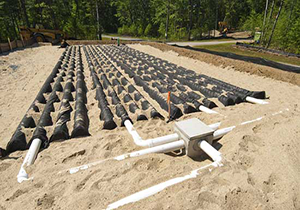 Multi pipe infiltration systems can be used with either septic tanks or aerobic systems where sub surface discharge is preferred. It suits all approved soils and permitted applications were gravel is normally used. 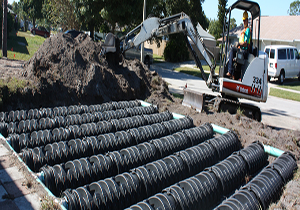 The multi pipe system is ideal for mound or surface trenches and beds. 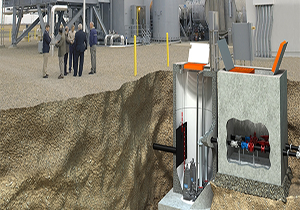 It can be easily adapted to either pumped or dose applications. The multi pipe system is composed of self coupling White lined distribution pipe and specially banded void pipes. It provides even distribution of affluence and functions much like a trickle filter. Please call today or fill out our Form to talk to one of our Licensed Service Professionals to see if a multi pipe system is right for your home! Looking for a contractor to connect your new home or current home to a city sewer line? 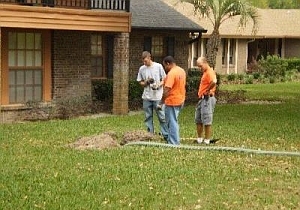 A1 septic provides professional installation and connection anywhere in Seminole or Orange County. You’re responsible for the connection from your home to the sewer system. 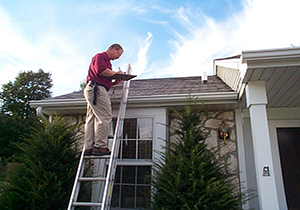 You can Rely on an A1 licensed service professional to ensure the job is done correctly!